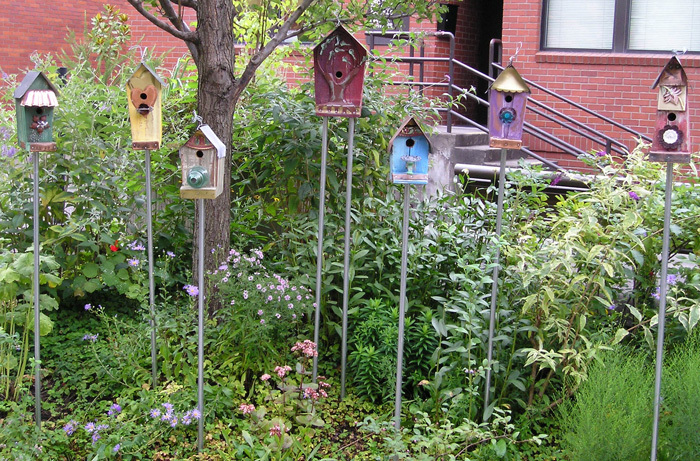 In March of 2007, we donated these 14 houses mounted on poles to the national award winning Legacy Emanuel Oregon Burn Center Therapy Garden. 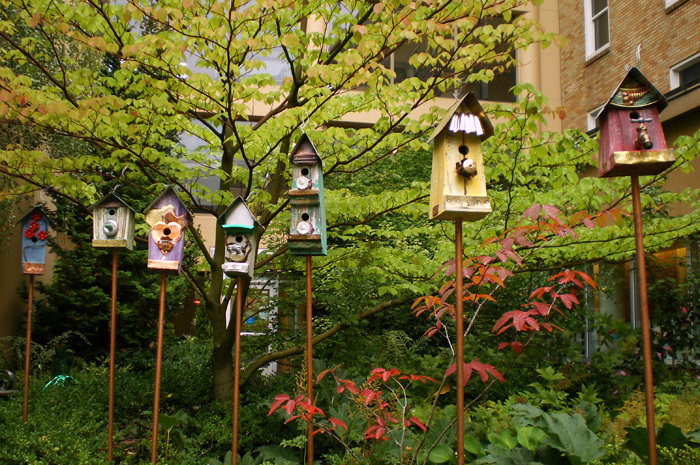 According to Teresia Hazen, registered horticultural therapist, and coordinator, Therapeutic Gardens and Horticultural Therapy, "Watching birds gives patients, their familites and staff members a window on the world of nature. And enjoying the beauty of the winged creatures while walking in the garden brings healthful pleasure. 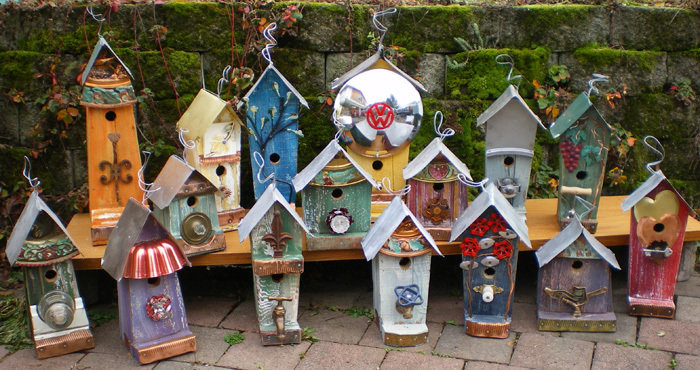 We're already noticing birds shopping the new homes."